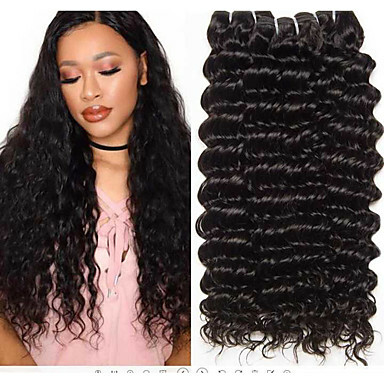 If you are dreaming of having perfect hair, we invite you to browse our large selection of human hair weaves! Use the filter to find out your favorite style! 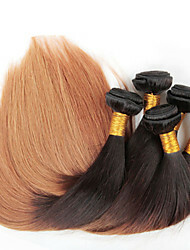 To make sure the hair fits you perfectly, we provide your natural color human hair weaves and ombre human hair weaves. If you’re not sure about the color and style, we offer your user photos and exclusive videos. don’t miss it ! 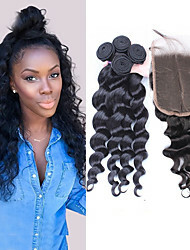 Lightinthebox is professional and fashionable in human hair weaves. 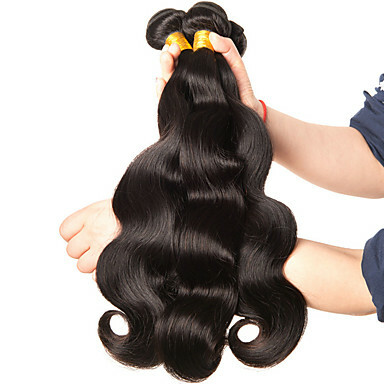 We have professional factories that focus on “hair extensions” industries more than 10 years. 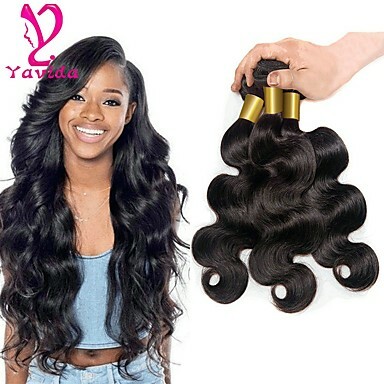 the price is competitive and the quality is reliable. 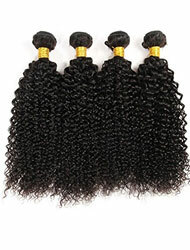 There are a variety of human hair weaves including non-remy hair, remy hair, and unprocessed virgin hair. 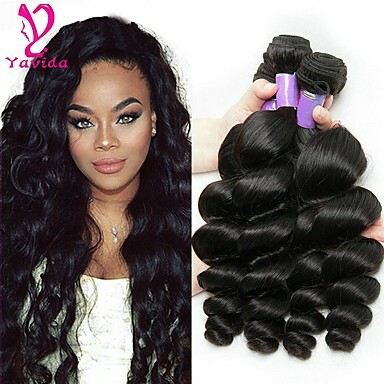 Get your favorite human hair weaves at lowest price here from $3.99. Anyone can have super good hair. 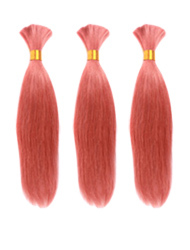 Embrace Human hair extensions. 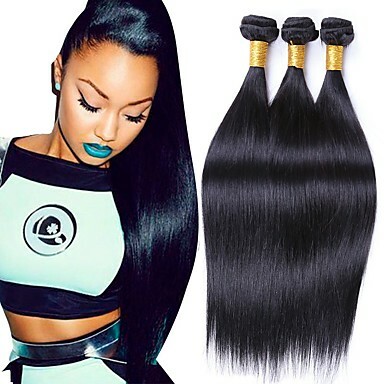 The hair material of our human hair weaves collection is 100% human hair, which is made of Brazilian, Peruvian, or Indian non-Remy or Remy or other top grades virgin human hair that comes from a real human. 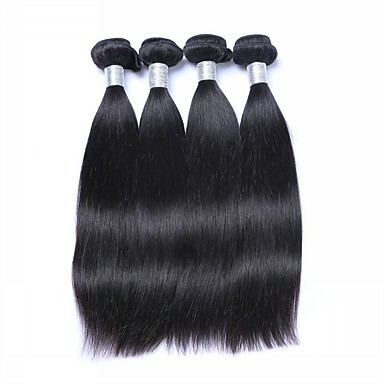 Non-remy hairs have been chemically altered. 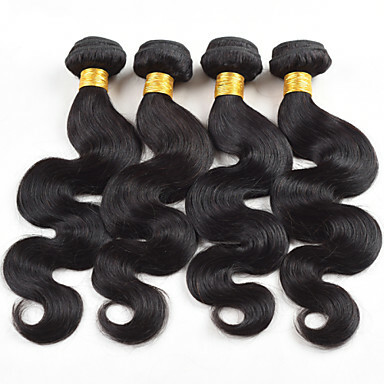 Virgin hair and remy hair has not been chemically altered and roots and tips are running in the same direction. 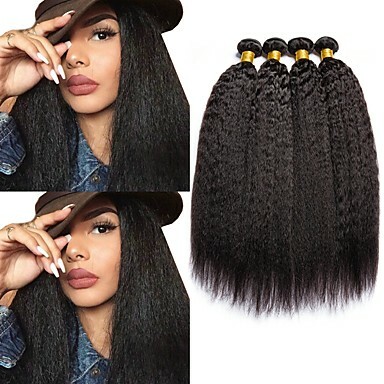 To sew in a weave, the hair must be braided into cornrows to provide an anchor for the thread that attaches the hair to the head. Then iron it to change the hairstyle. 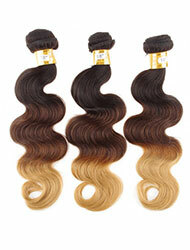 And natural human hair weaves can be dyed into different colors to make you enjoy your fabulous hair everyday!